You can get cheap life insurance as a young adult in an instant, the insurance policies are super simple to understand, and there are no waiting periods. 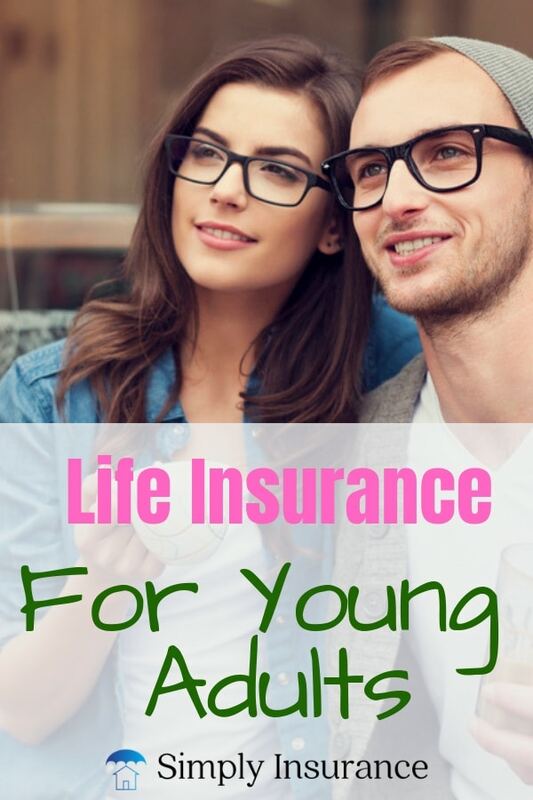 In this post, you will learn how to purchase life insurance as a young adult, how to get no medical exam life insurance, and I will go over when you should buy life insurance. The best life insurance product for a young adult is going to be a Simple Issue Life Insurance policy often called No Exam Life Insurance. No exam life insurance is a type of life insurance that allows you to get covered at a much faster pace by avoiding the medical exam. I can't remember the last time I actually purchased electronics from a physical store, I mean, I might go there to test the product out, but I will certainly not buy it. As young people, we want to be able to shop whenever, wherever, and however, with no limitations and the internet gives that to us. The days of waiting around for an insurance application to be faxed over is the thing of the past and buying life insurance online is the future. You can now get instant quotes and apply online for life insurance as a young adult, all without dealing with an agent. I have yet to find anyone that enjoys the prick or stick of a needle, if you do, that's your thing, and I have nothing against it. However, most of us would prefer not to have to do an exam, not have someone in our personal space drawing blood, checking our height and weight and taking a urine sample. Having a policy that doesn't require an exam also speeds up the application process considerably. So, traditionally underwriting is a drawn out process that requires the insurance company to pull your medical records, check your prescription history, check your driving record, and also look at your history of applying for life insurance. With real-time underwriting, all of this happens while you are completing your simple application. The application asks questions based on how you answered the previous question and also gathers information from the above reports seamlessly. This process makes getting an immediate decision very easy. What I love most about these products is the ability to have an instant life insurance quotes and approvals. Most places say they offer an instant approval, but usually, after you apply for coverage, they explain how you will need to complete an exam to get an answer. You have been approved for coverage; you can make a payment and get your policy instantly. You have been declined for coverage; you should look into a different type of product, one that may require an exam or reach out to an agent. Just remember that just because you were declined for a simplified issue or no exam life insurance policy doesn't mean that you aren't healthy and it doesn't mean you can't get insurance from another company. Along with all the other benefits of buying a no exam policy, you can get some excellent rates. Right now I am 33 and a 20 Year $500,000 no exam policy for me would only be $27.00 per month, which is fantastic because it is honestly just a few dollars more than other companies and I get to avoid all of the nonsense. CLICK HERE FOR YOUR FREE NO EXAM TERM LIFE QUOTE! There are so many myths and just straight up lies when it comes to life insurance for a young adult. In all honesty, If I hadn't sold life insurance for over 10 years, I probably would be believing the same myths. People argue that if you don't have anyone that you are responsible for, then as a young adult you don't need life insurance. The problem with this theory is that if you pass away, someone is still going to be responsible for burying you, packing up your things if you had an apartment and other things that might not be on your mind. The nationwide average cost for cremation is about $2,500, and the average cost for a funeral is closer to $10,000. Now, according to Smartasset.com the average savings of people that actually have a savings accounts is $5,200. This means that your parents, or friend, whoever takes over that role for you, will either be spending half of their savings or won't have enough to assist with burying you. With life insurance costing less than my monthly cell phone bill, trips to Starbucks (unless I am using my rewards), or a few drinks when hanging out; there isn't any reason to go uninsured. This might not be an official myth, but enough people use this option to ask for money for a burial. Even as I write this post people still need help with money to cover the final expenses for their family members. 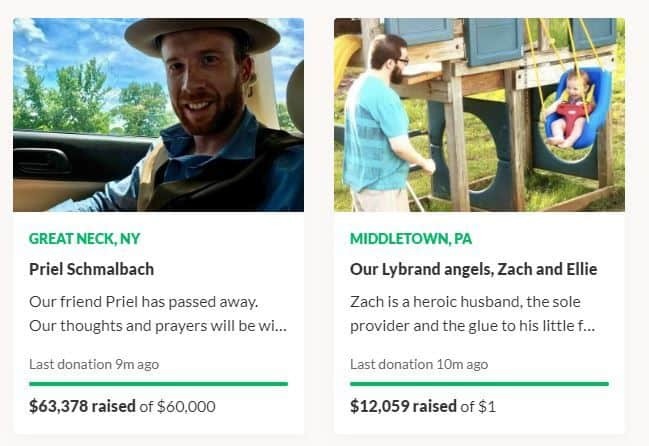 Just check out the screenshot below that I just took from GoFundMe, these people are both young adults and if they had life insurance, this wouldn't be required. Now, I am not taking any shots at GoFundMe; I think its an excellent platform. However, it shouldn't be used for life insurance because there are companies that offer coverage for very affordable rates. There is so much content on the internet that tries to make an argument that Term Life Insurance isn't a good deal because your coverage will end. However, the truth is that by the time your term life insurance policy is up for renewal, you should have created a substantial nest egg and paid down some debt. Term life insurance is going to lock your rate in for the length of the policy so the sooner you purchase it, the more savings you will have up front. You can also add on family members as you have life events like getting married, or adopting or having a baby. The amount of money you spend on a term life insurance policy is going to be much lower compared to other products. Essentially, it is probably the best term life insurance and is definitely worth the peace of mind it will give you. Wondering when should you get life insurance is understandable, especially if you are in your 20s or 30s, but the simple answer is 100% YES. You should get life insurance in your 20s or 30s because the earlier you purchase life insurance, the lower your monthly rates will be, and the more savings you can lock in. I would say get life insurance when you are an 18 year old if you have the means or if your parents will pay the premium for you. The main reason you need to get life insurance in your 20s is that you are going to be at your healthiest, it's going to be extremely easy for you to get approved. When you look at life insurance for 30 year old such as myself, I have a $2 Million death benefit in life coverage, and I only pay about $129.00 per month. Just think about this, I have all the time I need to build something great for my family, and if I were to pass away before that, then my Husband would be set financially. ​When we have certain life events like having kids, it will be very easy to just add them as a beneficiary. No exam life insurance is going to be the best life insurance policy for 30 year old young adults that need coverage fast. 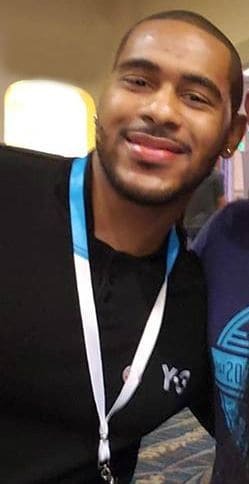 Bestow is Hands Down, the best life insurance company for a young person. Bestow is a new entry into the world of life insurance but they are backed by old and financially strong companies like Topa Insurance who has an (A- Excellent) rating with A.M. Best. The reason Bestow is the best is that they offer everything we discussed above, they are a True, No Exam, Simplified Issue Life Insurance product. They are now licensed in 48 states and are going into new states weekly. They even have a 2 year term option available for people who aren't quite ready to commit to a longer term or think about retirement planning. You don't need a checking account or savings account to purchase the policy either, you can just use your credit card. I did a complete and detailed review about Bestow that you can check out if you still want more information about them. If you work from home, are a freelancer, self employed, or a small business owner, having life insurance is essential and you can't afford to go without it. Being young and running a business is definitely going to be challenging, but you must build a solid financial foundation and life insurance is key. As a entrepreneur you are responsible for every part of your business, your savings and investments and your loved ones. The product we offer gets you approved super fast so that you can focus on running your business. If you are a college student, it isn't a bad idea for you to have life insurance if your parents have co-signed for your public or private student loans. There are several coverage options that will keep the life insurance rates low and help you with saving money. If you were to pass away before paying back your loan, your parents could end up on the hook for it. There is no reason to let a life insurance medical exam stop you from getting the coverage you and your loved ones need. Now that you know who has the best life insurance for young adults it's time to take action. To get some term life insurance quotes, you can click on that blue button below if you are on mobile, or that scrolling widget to the right if you are on a desktop (yes, some of us still use a desktop). If you are a young adult, Cottonmouth in Kill Bill said it the best, "Now's the F*king Time." You should pat yourself on the back because you are taking steps to secure your family's financial future. CLICK HERE TO GET FAST LIFE INSURANCE COVERAGE! If you have been looking for the best life insurance for young adults, then read this post. Get covered in your 20s and 30s with no exam.